With strong support from the Secretariat of the Shanghai Cooperation Organisation (SCO), the “Belt & Road Innovation and Development Forum - The Belt & Road and Eurasia: Reality‧Prospects”, organized by China Academy of Culture, Silk Road Economic Development Research Center, Maritime Silk Road Society (MSRS) and One Belt One Road Research Institute of Chu Hai College of Higher Education, was held full-day in JW Marriot Hotel Hong Kong on 3 November. At the forum, the morning’s session was unveiled by a keynote speech of Mr Rashid Alimov, the Secretary-General of SCO. Hong Kong Special Administrative Region’s Chief Executive, Mrs Carrie Lam and Financial Secretary, Mr Paul Chan, representatives of main organizers, ambassadors to China, scholars, experts and representatives of enterprises made remarks in different sessions. About 1,000 guests attended the forum. 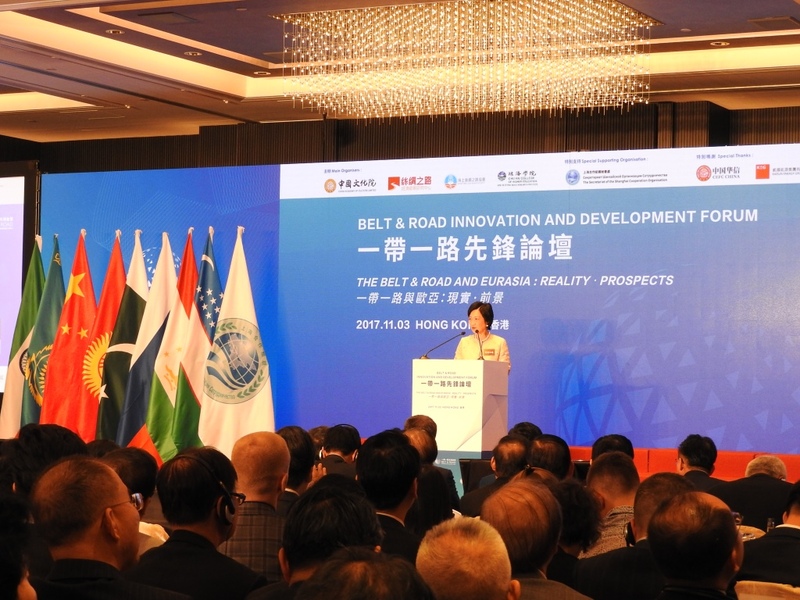 “As an international financial centre and a member of AIIB, Hong Kong has great potential in functioning as a fund-raising platform for infrastructural development under the Belt and Road Initiative,” Mrs Ip said. “I think in years to come we should encourage our government to do more, for example, think in terms of establishing the equivalent of a sovereign wealth fund, to do more investment in the infrastructural projects in Central Asia, and also to set up a cultural fund so that we could do more to connect people, ” she added. Mr Alex Wong, CEO of MSRS, participated in the afternoon panel discussion. 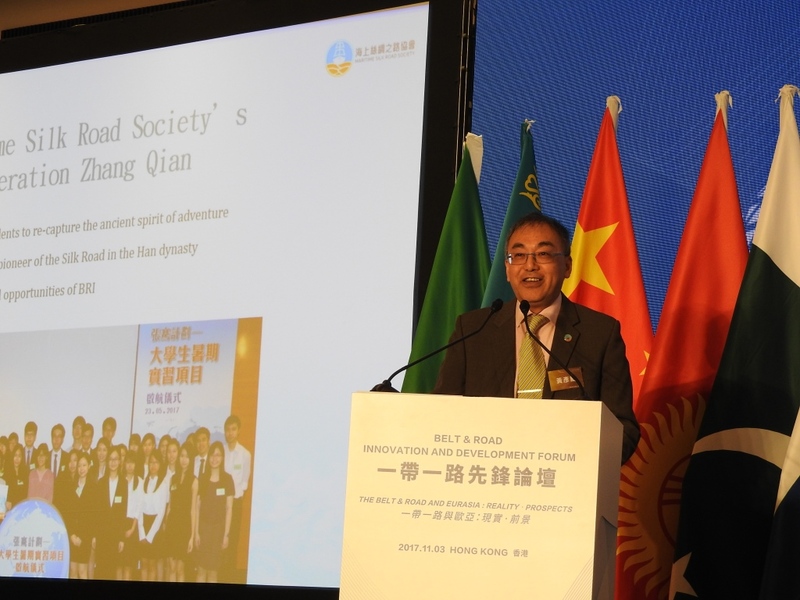 In his speech titled “Developmental Opportunities for Hong Kong Youth under BRI”, he covered the directions of Belt and Road development, Belt and Road collaboration mechanism, China’s connections and interaction with Belt and Road countries, Hong Kong’s role under the Belt and Road Initiative, opportunities for Hong Kong’s Youth and MSRS’s objective, etc.